If this is your first time to this series I recommend starting from Day 1, HERE. 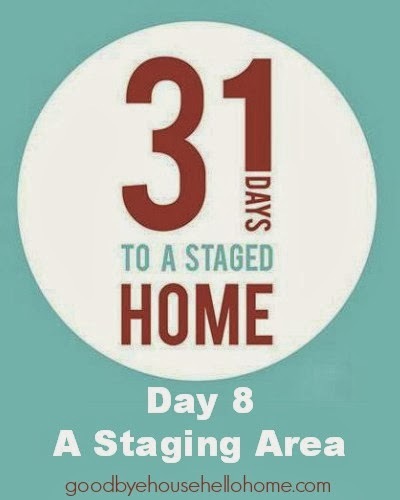 So, if you're staging your house, then isn't the whole house a staging area? Your house is now a work zone. because, quite frankly, if you don't, you'll just be making a huge mess all over the house. 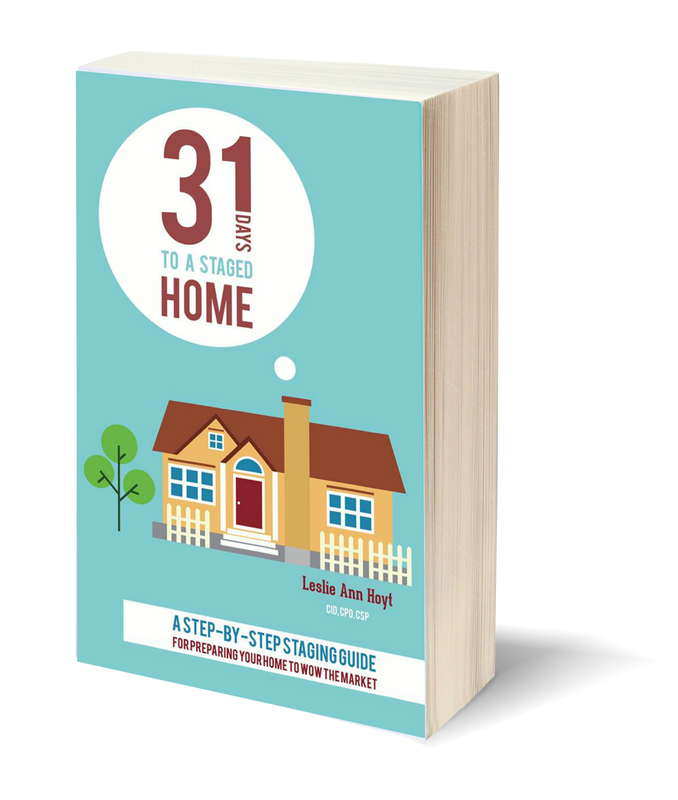 if it bothers you to have company over when your home is in slight disarray. 4 bathroom, 2 kitchen, cafe'/theatre room, 3/4 acre house. Here is my staging area. It's not pretty, but I do a bit of organizing and purging each time I come in here. Obviously, this room will be staged last, after its contents have been dispersed. It is right off our basement cafe (see that HERE, if you'd like). piece of furniture and decor item to keep. 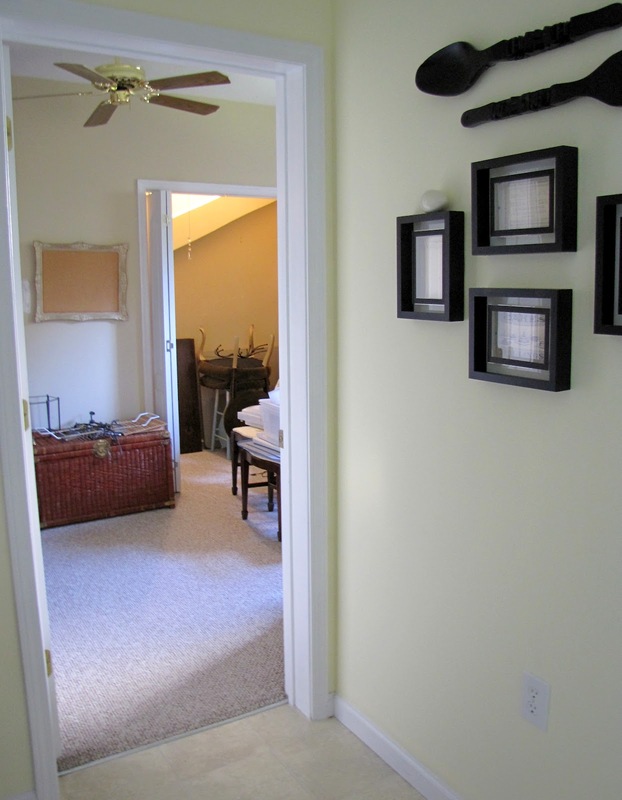 so you really will NEED a staging area and maybe a storage area. P.S. I am getting a lot of fantastic questions from y'all! I will have a Q & A Day on the 31st, the last (whew!) day of this series. Unless a seller has done a LOT of purging, I think a storage unit is a great idea. We typically use our garage to store lots of things, but for our last house we moved almost all of that out for the sale. Not ALL of it--I think it makes sense to have some things in the space so it looks like it's actually usable. But most of it. You say you're "rightsizing." is that a term of art? How did you come to the decision as to what size house is "right" for you? Can I just say again how excited I am that you're doing this series? I honestly wait with bated breath for each installment. ;) You've answered my previous question about replacing flooring already, but now I have another question. We live in a starter house in what could be considered a starter neighborhood. I mentioned to my husband that we should replace the light fixtures (all brass with cut crystal), and he just gaped at me (partly because he thinks they're incredibly fancy- ha!). 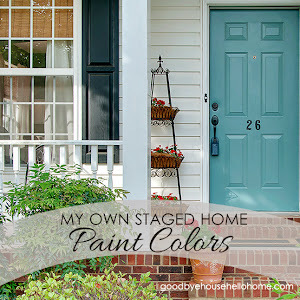 How much does the type of home/neighborhood influence how much money should be spent on staging? Thanks! 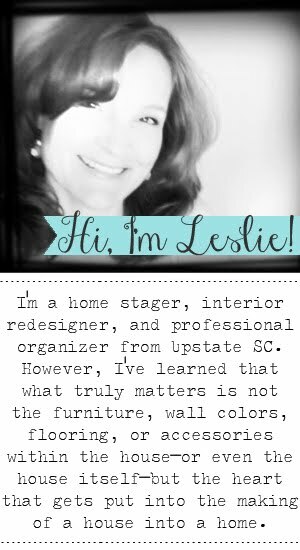 I am loving this, Leslie!! Thank you so much for this series! I think I'm going to have to permanently bookmark it. We're thinking of moving cross-country sometime in the next year, and you're giving me the perfect to-do list! We'll be renting a storage space for sure - after we purge! Never thought of storing staging items in a spare space. That is awesome! Thank you so very much!!! I cannot get to Day 7....I'm catching up on the series this afternoon. Thanks! Did something happen to the Day 7 post? There is nothing there to see. Your link for Day 9 via the picture is broken.